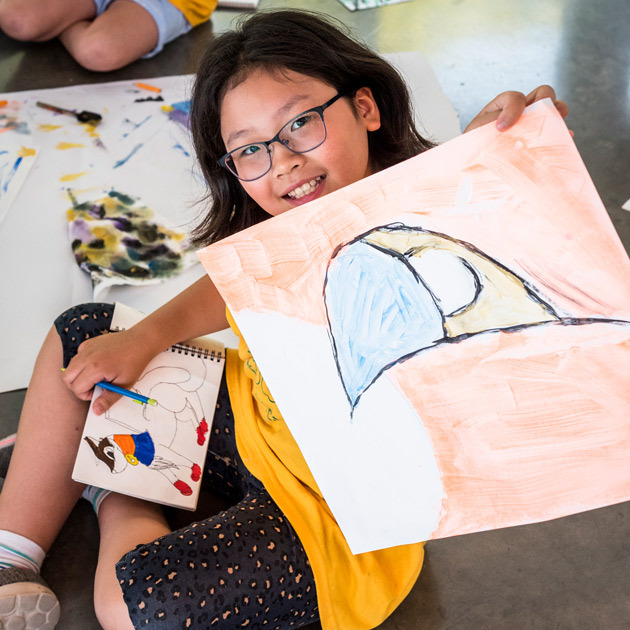 Make art and new friends at SAM Camp, a summer program for children entering grades 1–5 in fall 2019. Each week includes a field trip to the Seattle Art Museum. 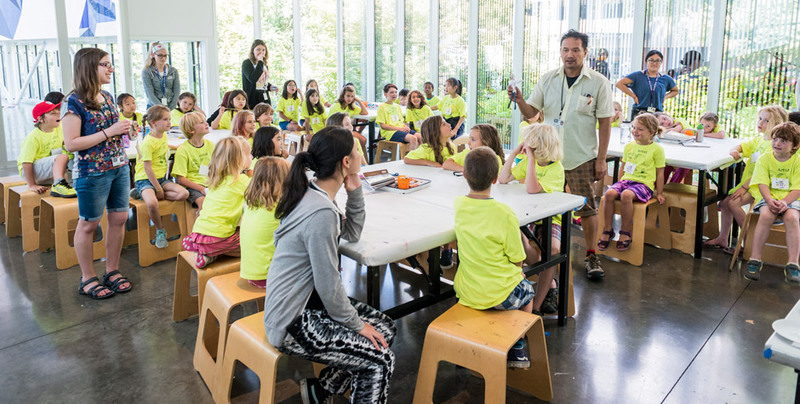 Led by local arts educators and inspired by work on view at SAM each week is a new adventure. Join us Monday–Friday from 8:45 am–3 pm at the gorgeous Olympic Sculpture Park. Afternoon extended care is available until 5:30 pm every day. SAM Camp is sold out. Email us to be added to the waitlist. Travel across the globe and explore cultures near and far! Create a mixed media map, weave a story in cloth, and construct a tale in clay. Be a guardian for planet earth. Explore the natural world, create masterpieces with recycled materials, and paint the landscape en plein air. Discover the world of design and architecture all around us! 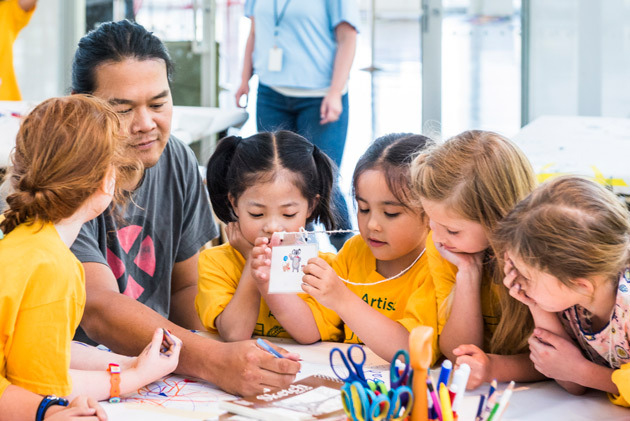 Create a city of the future, engineer a masterpiece inspired by past artistic inventions, and tell a story using graphics and designs. We can’t get enough rain! Rainsticks are used in the belief that they can bring about rainstorms. Seattle may not need more rain, but we can still enjoy the sound of the season by crafting these hollow tubes filled with beans or pebbles. 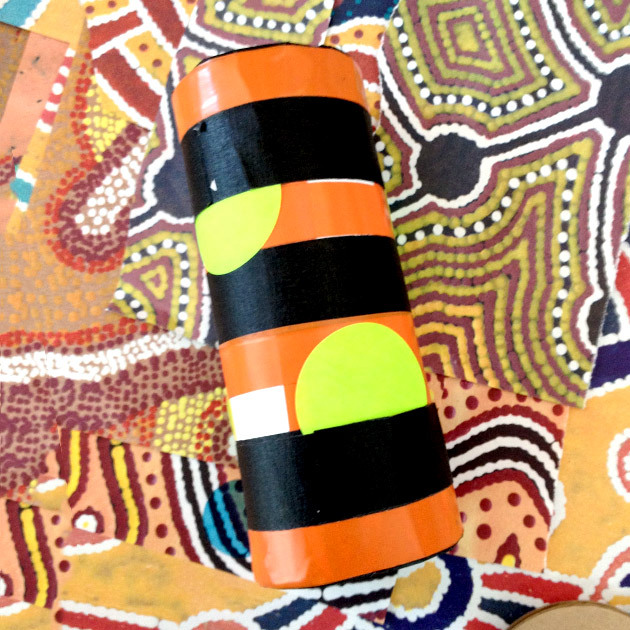 The origins of the rainstick can be traced back to the Mapuches and the Chilean coast but similar instruments are also found in Southeast Asia, Australia, and Africa. Romson Regarde Bustillo is an interdisciplinary artist working in printmaking, mixed media, and space coding. Born in the Philippines, Romson immigrated to Seattle with his family in 1978. He has been a teaching artist for over twenty years including with Pratt Fine Arts Center, the Wing Luke Asian Museum, the Brooklyn Public Library, and SAM. His work is represented in the collections of the City of Seattle, the City of Tacoma, Washington State Art Commission, ArtColl Trust, ACRS, and the Wing Luke Asian Museum. Emma Agiroff enjoys creating and teaching lessons that develop children’s artistic and creative thinking abilities. She has experience teaching at SAM, Young Rembrandts, and the University of Michigan, where she earned a BA in Art & Design, and a BA in Environmental Science. She enjoys illustration, painting, graphic design, and many more forms of visual expression. This is her second year working at SAM Camp. Elise Harper is a K-8 art teacher in Seattle Public Schools. She designs lessons to engage students’ critical and creative thinking skills while exploring a range of media. Elise received a Bachelor of Arts from The Evergreen State College and a Master of Arts in Teaching from The Rhode Island School of Design. She has volunteered with SAM Camp the last two years and is looking forward to another great summer! 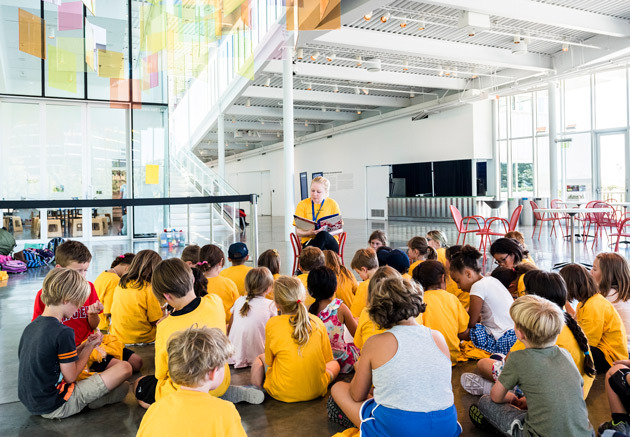 Lindsay Huse Kestin has been creating arts programming that engages children across the city as the Museum Educator for Teen, Family, and Multigenerational Programs at SAM since 2011. This is Lindsay’s 5th year working on SAM Camp where she acts as the lead staff person and gives tours to campers of SAM’s collections. Lindsay graduated with a BA in Art History and English from Boston College, and an MA in History of Art from the Courtauld Institute in London. A Seattle native, Lindsay loves spending her summer at the park with SAM Camp. Sarah Bloom, Senior Manager of Teen, Family, and Multigenerational Programs has worked at SAM for over five years. SAM’s Teen Programs were recently awarded the Raikes Foundation’s Youth Program Quality Initiative Pinnacle Award and were a finalist for a National Arts and Humanities Youth Program Award. Sarah holds a BA in Classics from Boston University and an MA in Classical Art and Archaeology from the University of Colorado at Boulder. She has held positions at the Denver Art Museum, Pacific Asia Museum, and the Getty Villa Museum. Please feel free to contact us with any questions you may have at [email protected]. Who can attend SAM Camp? SAM Camp is open to children entering grades 1–5 in the Fall of 2019. SAM Campers are placed in groups according to age. The Museum may combine age groups during the day for special age-appropriate tours and activities. Our intention is still to provide an art experience with one-on-one attention and a low ratio of children to teaching artists. If you would like to request that your child be placed in a group with another camper please indicates this on the SAM Camp Liability Forms. We cannot guarantee that they will be in the same group but we will do our best to group them together. 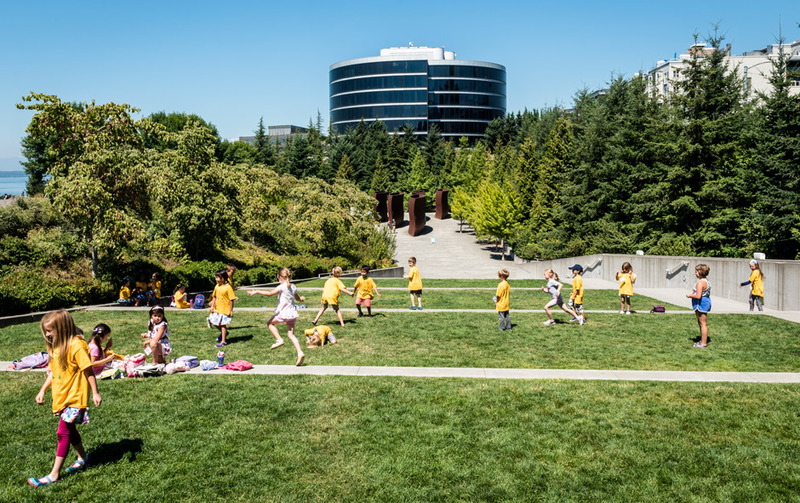 Sweatshirt or jacket: If it is not raining, our educators will often take the campers outside for exploration and play. It is always a good idea to have an extra layer for campers to put on if they get chilly. Lunch + Snacks: Please bring nut-free snacks and lunch along with a water bottle. 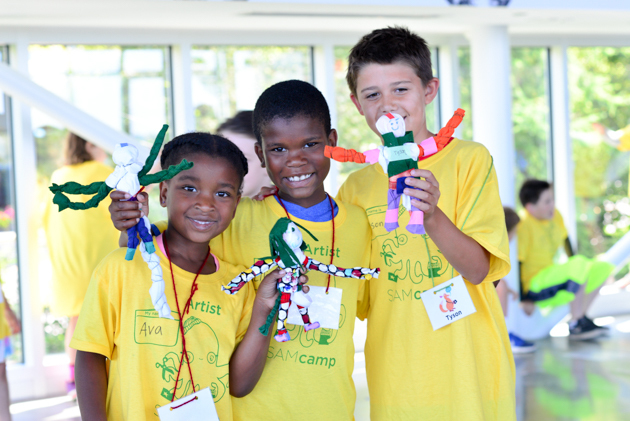 Comfortable, active clothes: At camp kids will run, create, learn, jump, craft, and play—and that can often get messy! We will provide each camper with a T-shirt to wear during the day. Do the campers spend time outside? Yes! We spend each hour-long lunch break outside in the park. Additionally, weather permitting we will spend time in the park looking at art and exploring the landscape. If the kids are outside, when is sunscreen applied? SAM Camp staff isn’t able to apply sunscreen to campers. Please plan on applying it in the morning before camp begins and make sure to pack extra in your camper’s bag. We’ve had a change of plans and my child will not be able to attend camp. Can I get a refund? SAM believes in increasing accessibility to the arts for all and we offer a limited amount of scholarships each week. Applications will be available in early January and will be accepted on a rolling basis with first come, first served. Scholarships are need-based and will be available until all spots are filled. Please apply by filling out the application below. Please complete and return to [email protected] by June 1, 2019. Your child will be unable to attend SAM Camp if these forms are not received.